This was one of the most inspirational middle-grade stories of a young Canadian girl that I've read. Emily Eaton was born with cerebral palsy. She couldn't communicate except with a few signs and she couldn't control her movements. Although in a wheelchair, her family involved her in everything they did, and she felt loved and supported and part of her community. Emily went to a regular school until the school's committee for students with special needs decided that it would be best for Emily to be in a special school for disabled students. Emily and her parents decided to challenge the decision by taking their case to the Advocacy Resource Centre for the Handicapped (ARCH). In time it went all the way to the Supreme Court and became history-making because the decision affected all who are disabled. 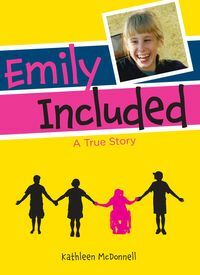 Emily's parents pursued it because they said “it was about the principles of equality and justice for all people with disabilities”. Emily Included is told from the point of view of Emily in the third person. We get to see her world as a child with a bright mind but a body that she could not control. Several times I teared up as I was reading her story. The way her brothers included her in their games or the way the children in school knew what she was trying to say to them because they were her friend and got to know her way of communicating is a testament that, when children are exposed to other children with disabilities, they are comfortable with children who are different. They will not be afraid of someone in a wheelchair who speaks and acts strangely. I saw this firsthand when I worked in a school that included children with disabilities. 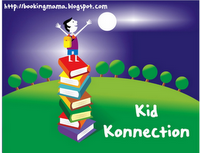 This book stressed the importance of parents being their child's advocate. I have so much respect for the Eaton family who fought for the rights of their beloved Emily. I think every Canadian school should have this book in their library and it would be a good idea to include it as a part of social studies. Highly recommended.